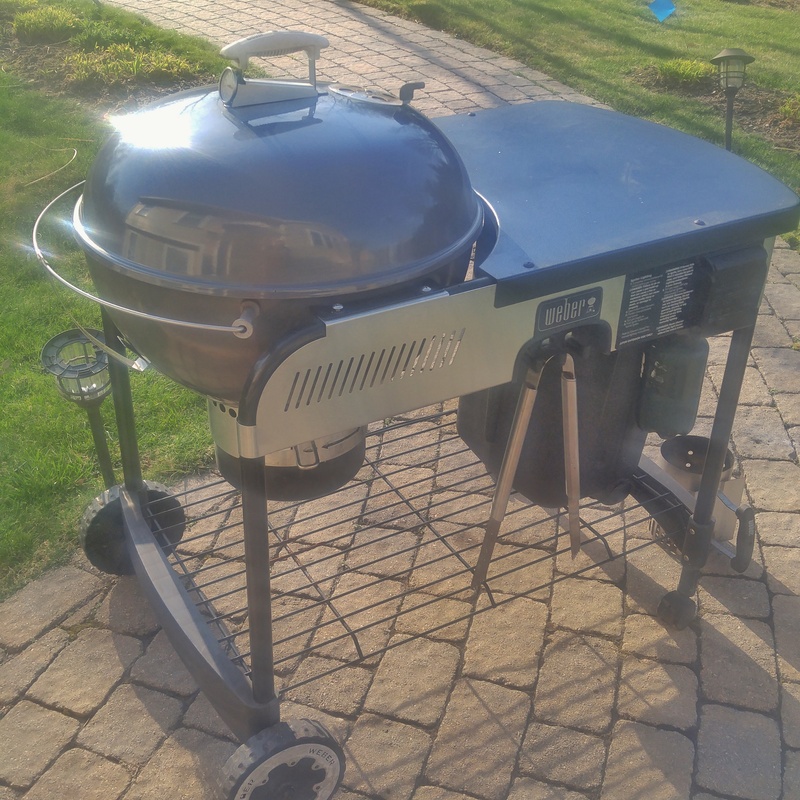 Set up the Weber Go-Anywhere for indirect smoking with a drip pan on one side under the deflector plate slot and 7 or so lit coals in the opposite corner with a bunch of unlit coals. Purchase the BBQube deflector plate here It makes the small Weber Go-Anywhere into a perfectly capable charcoal sipping machine. This whole cook might have used 25-30 briquettes and there were plenty left over to go longer! A simple rub of black pepper, salt, garlic powder. Goal is smoking the beef shanks for about an hour and a half between 250-275 to get color and smoke. Wrapped the deflector plate in foil for easy clean up. Placed beef shanks over the side of the grill that has the slot for the drip pan and the remote temp probe in the middle of the grill. After an hour and a half at 250 the shanks had the color I wanted and were probing internal temps of 150 degrees F. Pulled out the drip pan and placed the beef shanks with the beef stock and veggies in it and wrapped in foil to braise for another hour and a half. After an hour and a half braising all of the hard connective tissues and sinewy renders down into delicious tender fat for flavor and the bone marrow renders into the beef stock as well creating an intense beefy deliciousness.